Do you know either of these two people? 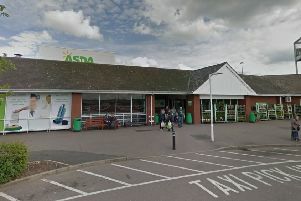 The purses were stolen in two separate incidents at supermarkets in Northampton and Wellingborough on March 21. Two women had their purses stolen from their handbags while they were shopping. One of the supermarkets was Aldi in Towcester Road, Northampton, and the Lidl in London Road, Wellingborough. Now, a CCTV image of a man and a woman who may know more about the thefts has been released by police. Officers would like to speak to the man and woman pictured and anyone who recognises them is asked to contact Northamptonshire Police on 101. Alternatively, they can call Crimestoppers anonymously on 0800 555111.